Standing in the middle of the Ponte Santa Trinita, I feel as if I am in the center of Florence. It’s not that the ponte (bridge) is in the middle of the city physically, but it is where I feel completely immersed in Florence’s energy. 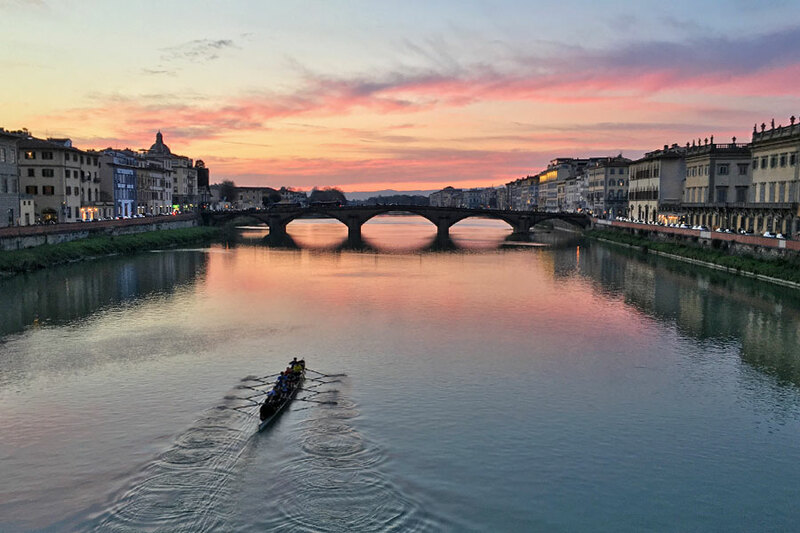 On the ponte, I feel as if I am a part of Florence’s completeness with the water flowing below me, people circulating around me, and the buildings and monuments above me. When I head out for a run in the morning, I am excited not just to run, but also to bask in my beloved city's beauty. I enjoy running outside, even when I'm on vacation, to see more of my surroundings. 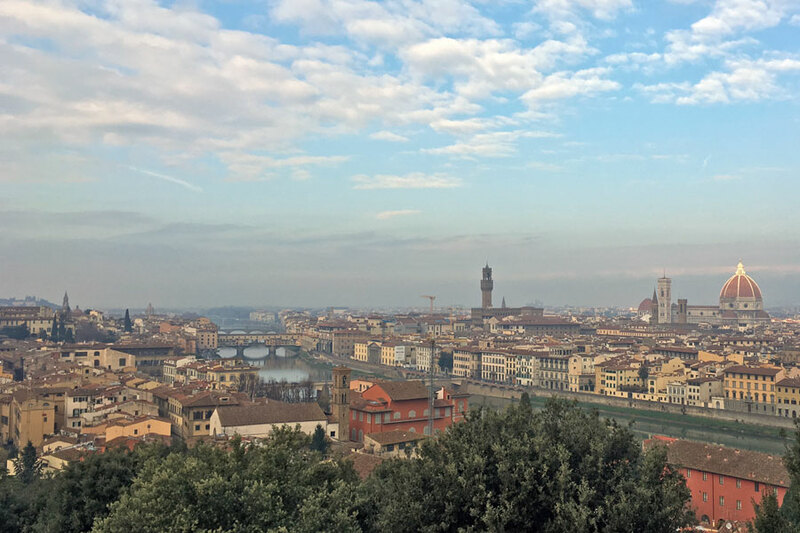 Of all the places where I have run, Florence is my favorite. Not just because Florence has such lovely monuments and churches, but because of how Mother Nature enhances her beauty. At sunrise and sunset, the sun casts a golden light on the city. When it's cloudy, the pastel-colored buildings become more vibrant. When the wind dies down, the Arno is so still that you can see the reflections of the buildings on it. After a big rain, the water in the Arno flows swiftly and cascades over the three pescaie (weirs) in town.